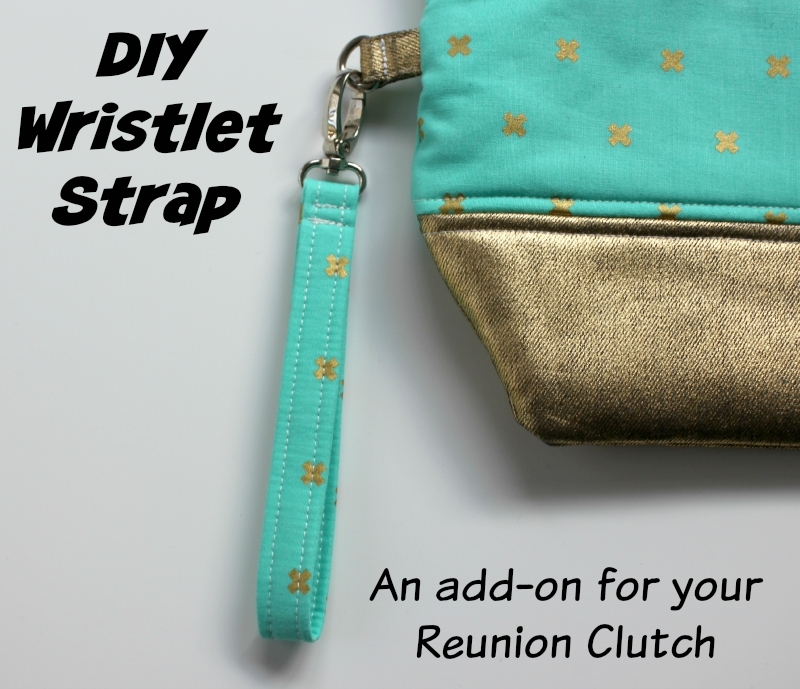 Late last month I released my newest pattern the Reunion Clutch. It is a FREE pattern download that you can get here. 1. Fuse the interfacing to the wrong side of both your Tab and Wristlet fabric. 2. We will construct the Tab first. 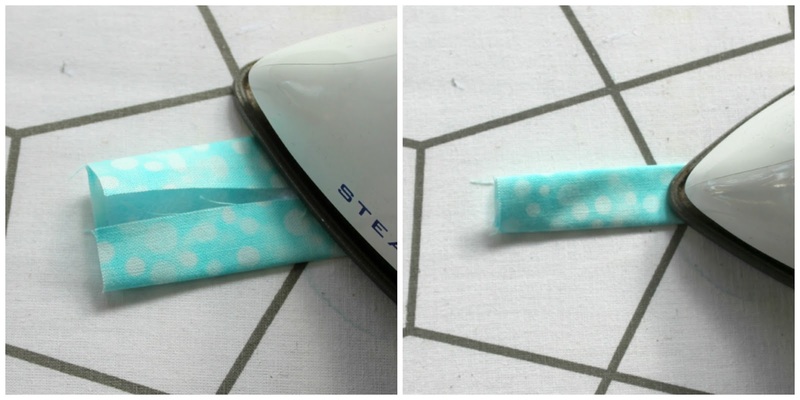 Take your Tab fabric and fold it in half (length wise - long edge to long edge), press and unfold. 3. Fold the (long) bottom raw edge up to the centre crease line and press. 4. Fold the (long) top raw edge down to the centre crease line. Press into place. Fold the bottom raw edge up to the centre, and press. 5. Topstitch each of the long edges at 1/8" (0.3cm). 7. 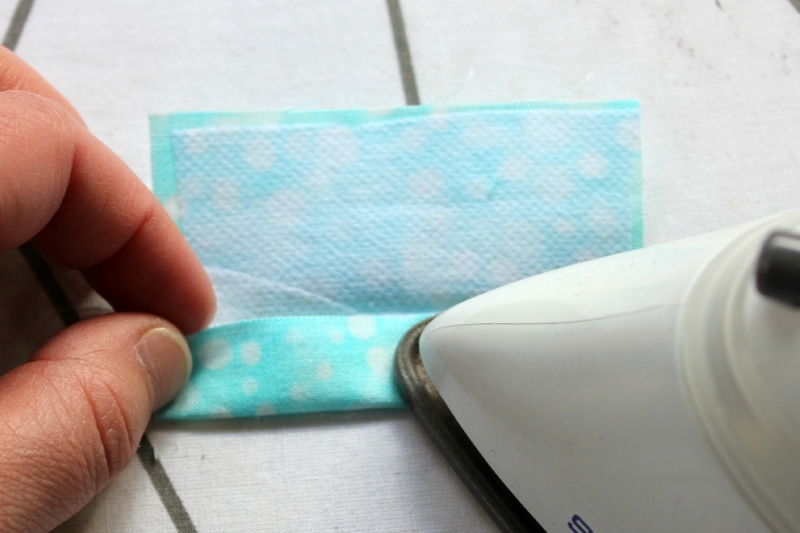 Fold the Tab in half and secure the d-ring in place with a row of stitching. Ensure to stitch as close the the hardware as possible - you might like to use a zipper foot for this step. This placement is especially important if you ARE using the Emmaline bags 11" Internal Wire Frames (Style A) in your clutch. This is because once your clutch has been filled with your essentials, if your Tab has been placed higher (eg. 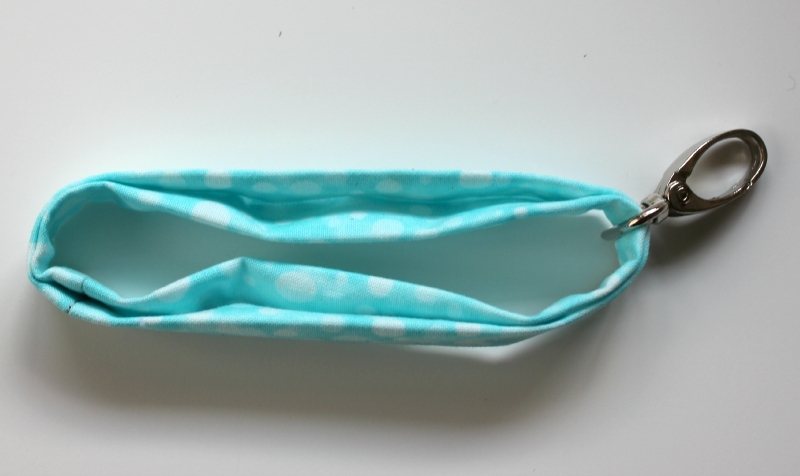 on Main A), your clutch will be pulled out of shape if using the wristlet to carry the clutch. 9. We will now construct the Wristlet. 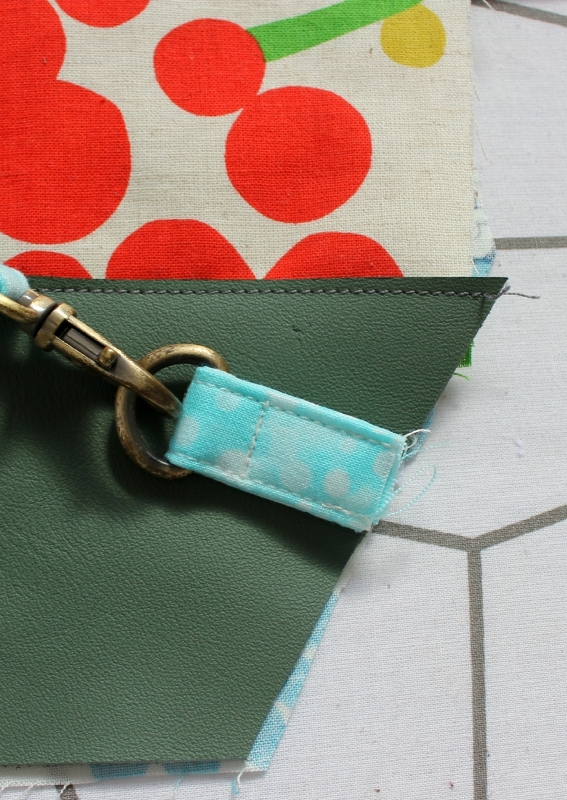 Take your Wristlet fabric and repeat steps 2, 3 and 4. 10. 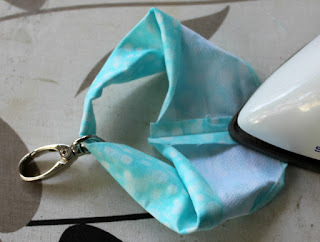 Slip your swivel clip onto the Wristlet. 11. Unfold the seam allowance at each short end and place them right sides together. 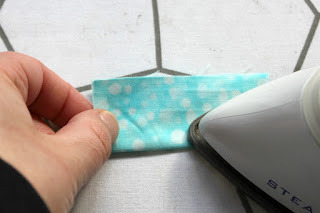 Sew the seam with a 1/2” seam allowance. 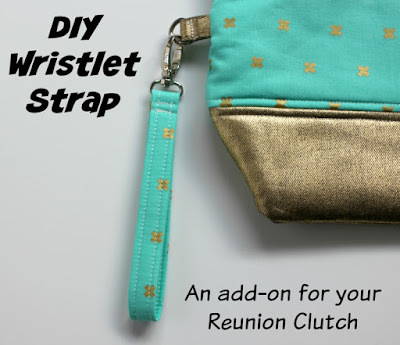 This will form a loop in your Wristlet. 12. Press the seam out. 13. 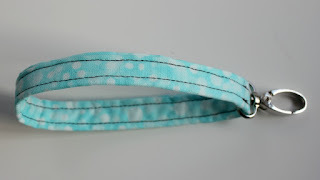 Refold and press the seam, then topstitch using a 1/8" (0.3cm) on each long edge. Ensure to slip your swivel clip along the wristet to move it out of your way as you go. 14. Place the join seam at your swivel clip (see photo), and secure theswivel clip in place with a row of stitching. 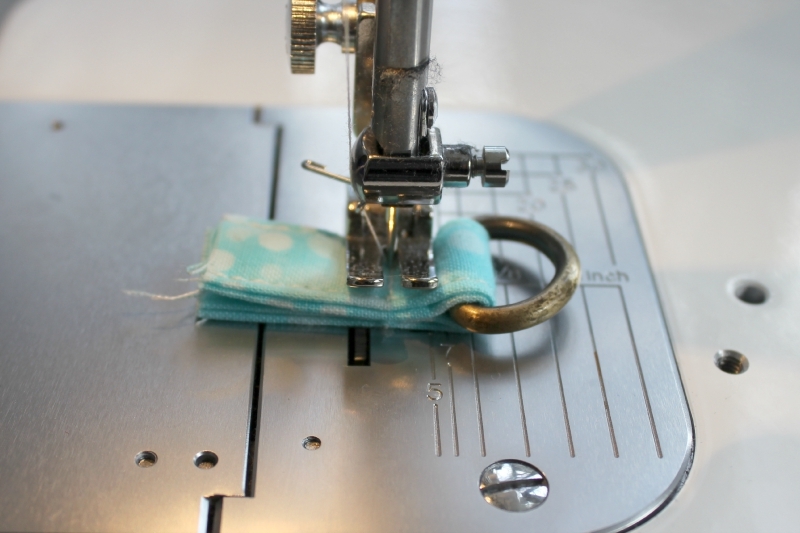 Ensure to stitch as close the the hardware as possible - you might like to use a zipper foot for this step. 15. Clip the swivel clip to the d-ring and your finished! 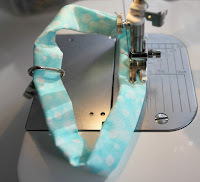 I hope you enjoy using this tutorial, happy sewing! A Monster Party, 2 Vests and a Coupon Code! I made Mrs H's Saddle Bag! I got a slow cooker!